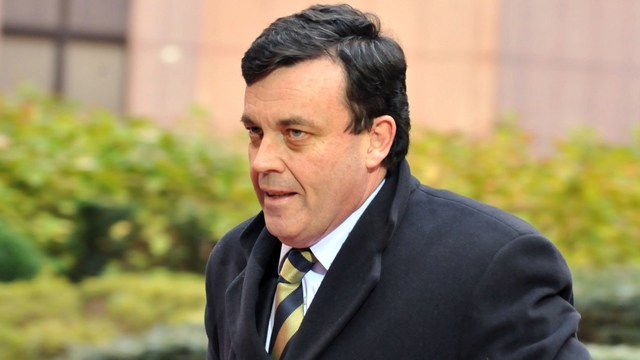 Ex-finance minister Brian Lenihan's death (52) is tragic in a Shakespearian way. Cancer, but also stress, were causes, but more than that, he paid a heavy price for his position. For Brian became the mob's scapegoat for the Irish financial crisis, yet he had little to do with the years of bank lending that got the country into its current mess. His coming to office as the global crisis struck meant he had a thankless job. He was under severe pressure from ECB officials, other political leaders and international organisations, who were all too happy to see Ireland issue a full guarantee to investors when the financial crisis hit the world economy. One can fault him on that decision, but it was probably not one he took alone. Nor at the time did it seem ridiculous: in fact, he was praised by his peers. But few people could see how severe the crisis would become. Soon he found himself between a rock and hard place, as the crisis deepened and the chasm of debt dragged the economy with it. Not many ministers, let alone a fairly new one (he was a senior minister just for a few year), would have stood up to such pressure. Though not a fan of his Fianna Fáil party (on the contrary, all my upbringing has made me allergic to that party), I nonetheless warmed to Brian Lenihan when I met him briefly in Dublin's Government Buildings in late 2009. The financial crisis debate and the issue of toxic assets were full on. After a long day of meetings, he then cut a dogged yet lonely figure in the Dail (parliament) late that afternoon as he stood up to a barrage of aggressive questions from the opposition. He was without support around him, but had a pile of studies and reports by his side. He looked quite poised and calm, and well able to defend his government's increasingly indefensible policy stance. How little did I realise that behind those steeley eyes he was probably fighting turmoil and mixed emotions inside.